Dave McDowell retired in 2004, as a police Sergeant from the Westminster Police Department in Orange County, California. He has been involved in law enforcement for 29 years. Dave and his wife Nancy serve full time with Safe Harbor International. Dave serves as the International Director of Police Training & Outreach and Nancy serves by coming alongside of missionaries, pastors, and church leaders as an Internationally Certified Life Coach and Spiritual Director to listen, encourage, develop and pray for leaders in the Body of Christ. Dave has led 25 teams of police officers, chaplains, nurses, doctors and children workers to assist other countries with consulting and humanitarian aid since 1990. He began his work with Safe Harbor International in 2006. Prior to that he founded Peace Officers for Christ International in 1990 as well as founding the Southern California Chaplains Association. Nancy has been involved ministering as a Life Coach and Spiritual Director for more than ten years and is also a Registered Nurse. Dave and Nancy along with their two daughters also served for a year and a half as missionaries in Mombasa, Kenya from 1987-1988 under Africa Inland Mission. Two key people that assist with this outreach have been Captain Ben Atchley from the Albany Police Department in Oregon and Chaplain Robert Benoun from Westminster, California. 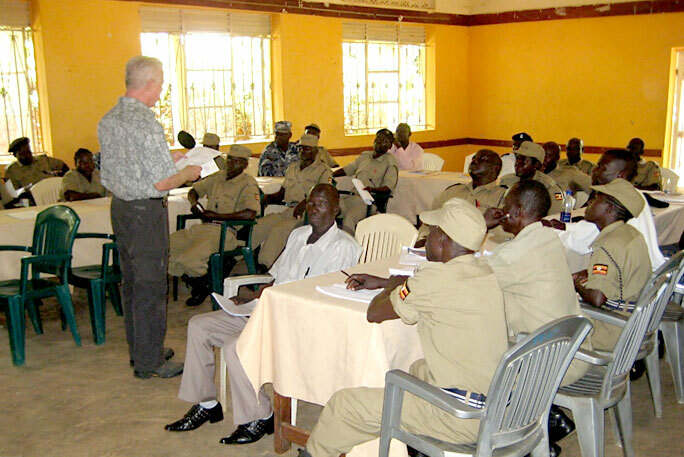 Retired Police Captain Ben Atchley has directed the training efforts on the ground in Sudan and Uganda and brings years of expertise both as an officer and manager. 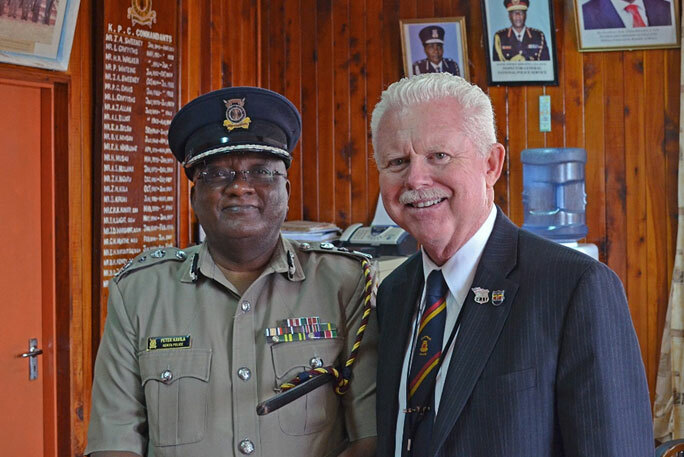 In addition Police Chaplain Robert Benoun provides his expertise as Police Chaplaincy programs are being introduced in Kenya, Sudan, Uganda and beyond as Safe Harbor's vision continues to grow. Donation Reminder: On Safe Harbor's donation link make sure to select support for "Dave & Nancy McDowell" from the drop down menu. 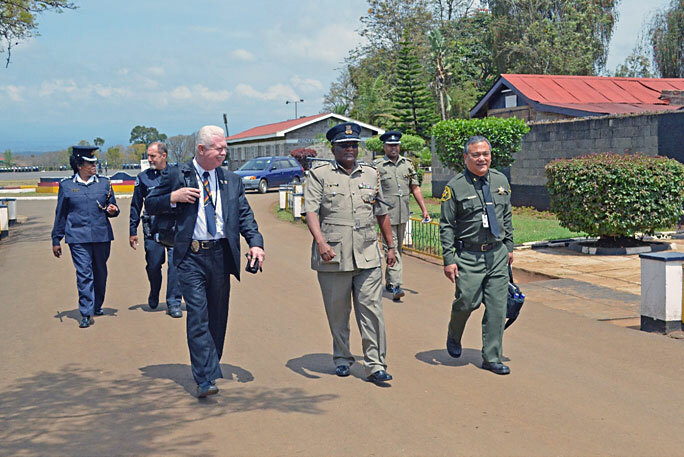 Reach out to police officers, children, churches and those in positions of authority in cross-cultural settings by providing training from Christian volunteer teams comprised of Police Officers, Police Chaplains and Medical Personnel. Outreach teams have traveled to Kenya, Uganda, Sudan, Liberia and Haiti. We also have a passion to walk alongside of Christian workers living overseas to encourage missionaries, local pastors and church leaders. This is accomplished through listening well to needs, providing prayer, spiritual direction and life coaching. To learn more about the Police Outreach, visit www.policeoutreach.com.